The Veterans Affairs National Health Eligibility Center has been accused of allowing systematic errors, patient neglect and delayed medical benefits. The whistle has been blown on staffers from the U.S. Department of Veteran’s Affairs, whose misconduct has led 34,000 veterans returning from Iraq and Afghanistan to become ineligible for health care benefits. The misconduct has also reportedly caused the death of veterans that could have been prevented if they had received proper health care. 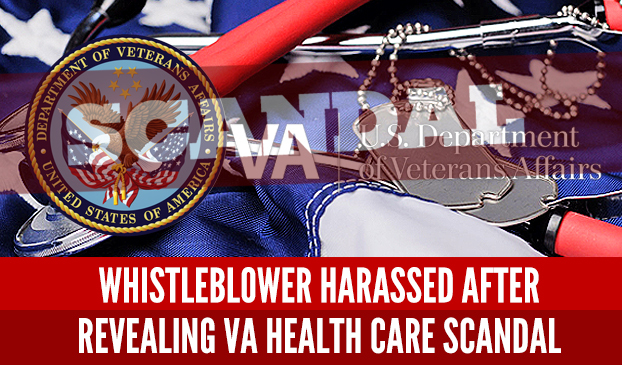 Whistleblower Scott Davis revealed the management misconduct to make changes that would give veterans the best care possible. Scott Davis, a program specialist at the Veterans Affairs National Health Eligibility Center in Atlanta, stood up for veteran’s rights and alerted the Obama administration Deputy Chief of Staff Rob Nabors about systematic medical errors and patient neglect. This neglect is not only in Atlanta, but has also been found in eligibility centers in 10 states so far, including Arizona and Colorado. Davis said the VA waited too long to address the veteran’s health care applications, leaving their application status pending. The applications were reportedly listed as pending because they lacked veteran’s income information. However, veterans are not required to provide this information when applying for benefits. The veterans were never enrolled in the system and were then stuck in the backlog. Davis, along with three other VA staff members, claims that VA funds are being wasted and misused by managers. He calls for the Department of Veterans Affairs Management Accountability Act of 2014 to be fully implemented to give veterans the best care possible. President Obama gave a speech about the investigation asserting that offenders would not go unpunished. After filing these complaints, Davis’s manager put him on administrative leave and altered his employment records. Davis was repeatedly harassed by senior staffers and he filed for whistleblower protection in January 2014. Davis gave his testimony to the House Committee on Veterans Affairs on July 8, 2014 indicating that the VA purposefully altered records to hide the fact that they were delaying treatment. He also testified that VA management retaliated against him for coming out about the misconduct and urged the government to issue an internal investigation. 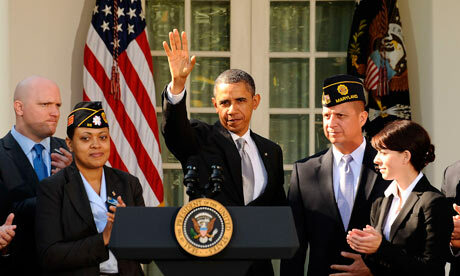 President Obama claims he will not tolerate the falsification of records at VA facilities. When investigations are complete, Obama will leave it to Veterans Affairs Secretary Eric K. Shinseki to issue disciplinary action against those at fault. “So today, I want every veteran to know we are going to fix whatever is wrong. And so long as I have the privilege of serving as Commander-in-Chief, I’m going to keep on fighting to deliver the care and the benefits and the opportunities that your families deserve, now and for decades to come. That is a commitment to which I feel a sacred duty to maintain,” President Obama said in a statement at a conference on Veterans Health Care.